Will Google Penalize For Building Links? For years I have been a major proponent for the case that links can’t hurt your site. People have debated and my standard response was “show me proof.” Since nobody could ever show proof, I assumed my stance on the issue was the right one. This is essentially a fallacy in informal logic or argument from ignorance meaning that I am correct because I have yet to be proven wrong. Obviously that in itself doesn’t make me correct, but neither was spouting assumptions. Will Google penalize for “inorganic” or “unnatural” link building? 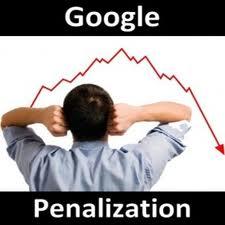 The conversation of Google penalties almost always comes up with someone is penalized, banned, or deindexed. The offender starts to attack the straw man and look for reasons that they were penalized. In my experience they will have a few reasons. Most people are really just hoping to find the reason their site has lost it’s rankings. In my experience, their ranking changes are almost always due to the competitive landscape changing without them realizing. In almost every industry, you’ll have a new competitor enter the market on a weekly basis. For a few of my clients, you can see new sites pop up daily. In addition to new sites, you’ll have old, established, companies offering their product or service as a secondary business. This means more and more competition and guess what happens if you remain stagnant in an ocean full of sharks? You start sinking and eventually get overtaken. There is very good proof that Google will indeed penalize you for “techniques that are outside Google’s Webmaster Guidelines”. My problem with this is the idea of competitive sabotage. Can I sabotage my competitors? Absolutely! According to Google, they can (and have apparently started) deindexing sites because of an unnatural link profile. While this is an obvious possibility please take this as tongue in cheek since your efforts are better spent on building links for your site. Focusing on your site will give you an edge over all of your competition, that’s the only control you really have. Brandon Hopkins owns a link building service called DiamondLinks.net and does not participate in competitive sabotage but does have a very specific skill set that includes ranking nearly every keyword he touches.